love the happiness spreading from your card!!!! 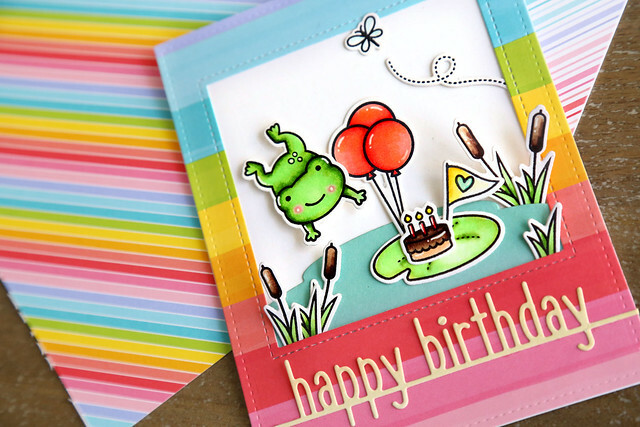 Beautiful card using the new rainbow papers! Cute card. These papers are so fun. This is one of the cutest birthday cards I've ever seen! 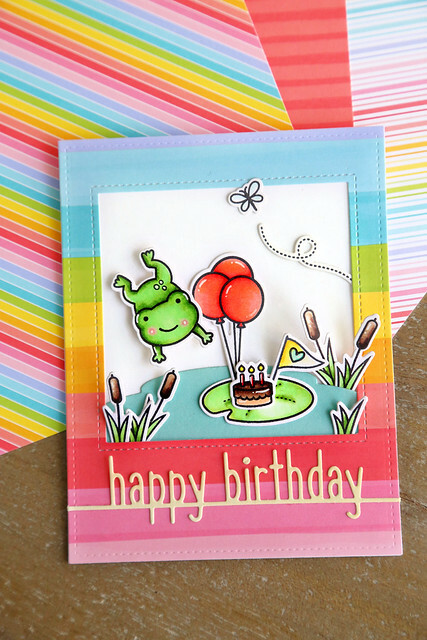 So cute, love the happy frog ! What a sweet birthday scene!!! Love the cake on the lily pad!